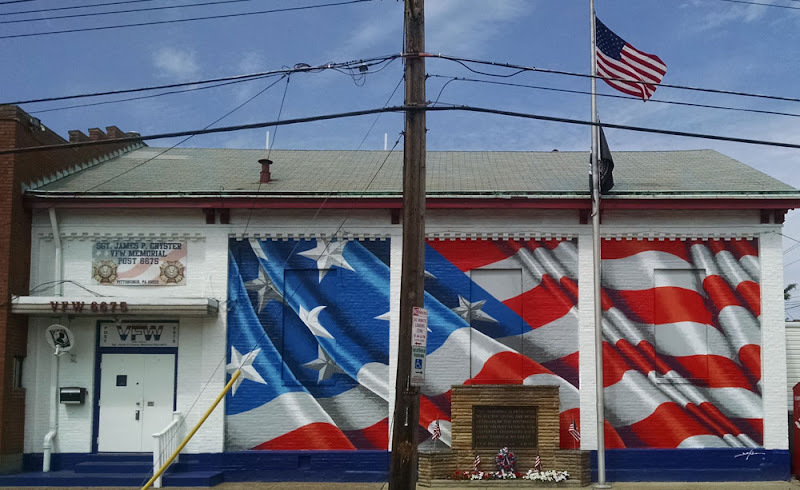 In a seven month tour of the country, New York artist Scott LoBaido is painting a US flag mural on one VFW or American Legion Post in each state. 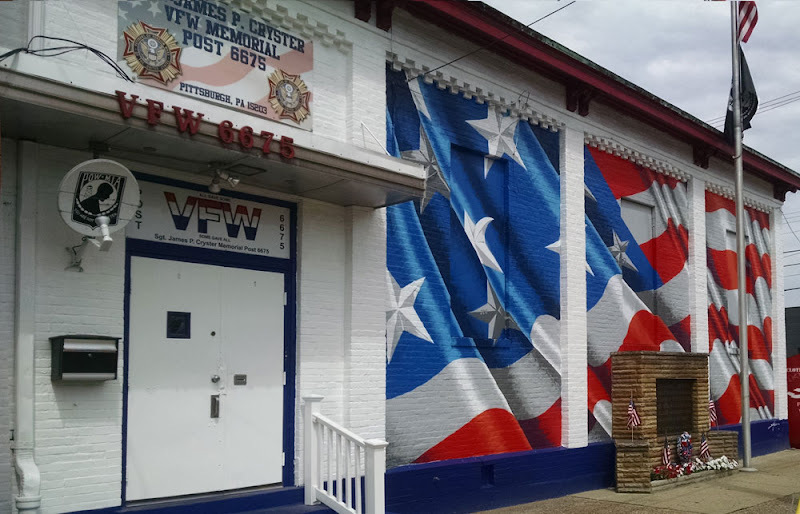 For Pennsylvania he chose VFW Post 6675 on the Southside and created the artwork in July 2015. 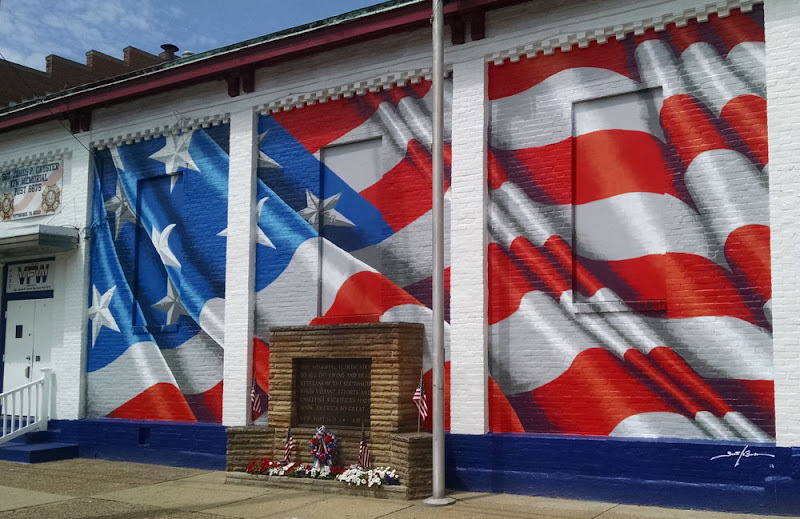 Mr LoBaido is famous for his flag murals. In the past he did a 50 Flags Across America series leaving a mural on one rooftop in each state. His goal on that project was to leave a flag where our veterans could see it as they flew off and returned from service. It was a thank you to them. This project is like a sequel in that he still wants to show gratitude to the people who have served our country. Now the murals are being placed where our veterans will see them from the streets where they live. A reminder that someone remembers their service and thanks them for it.